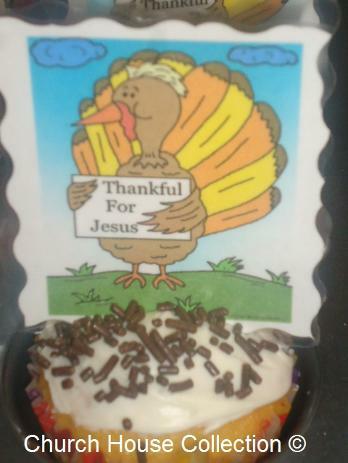 I made some Turkey cupcakes for our Church dinner. 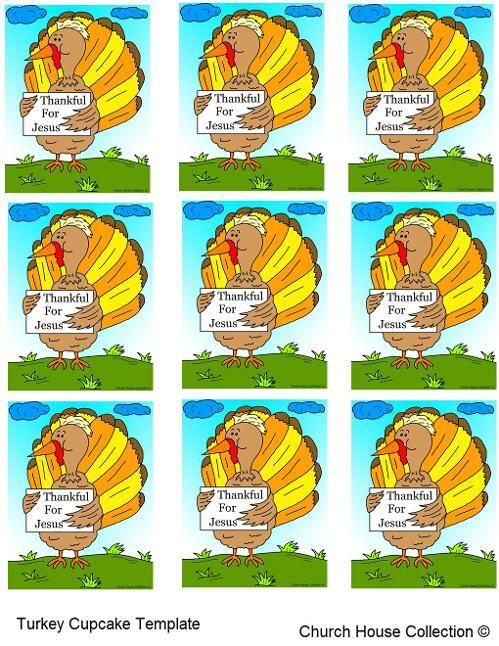 I just printed out my turkey template and ran it through my laminator and cut the pictures out with decorative cutting scissors. 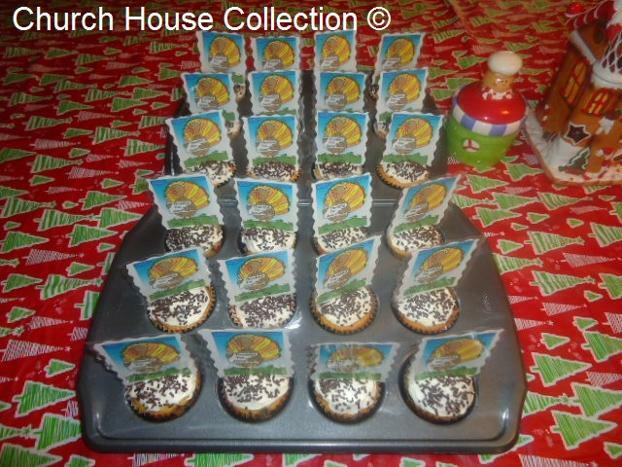 I taped a toothpick to the back and stuck down in a frosted cupcake with sprinkles. 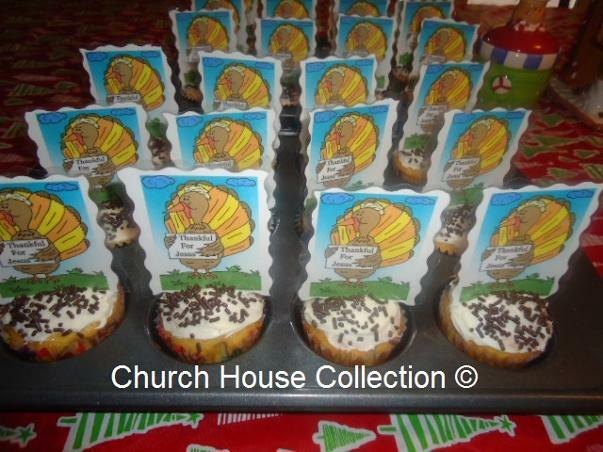 These would also make a great snack for Children's church or Sunday school. 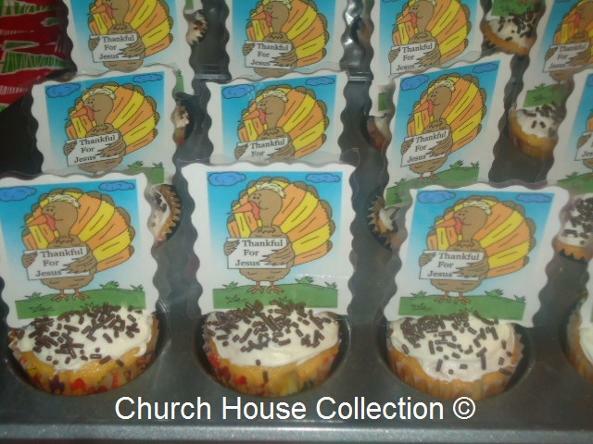 If you want to make these then just print our free Turkey template.